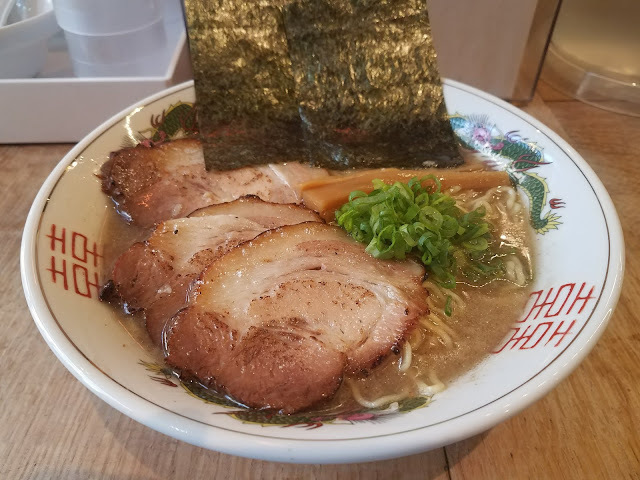 I went back to Ramen Lab for the Hokkaido Ramen special. 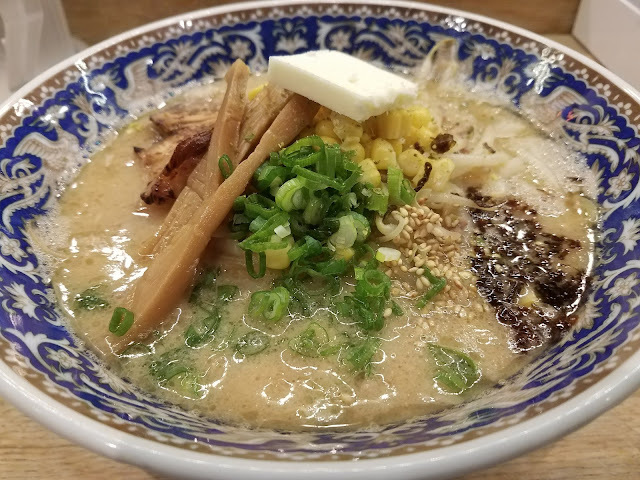 Ramen Lab is offering Hokkaido Ramens until May 12, 2018. 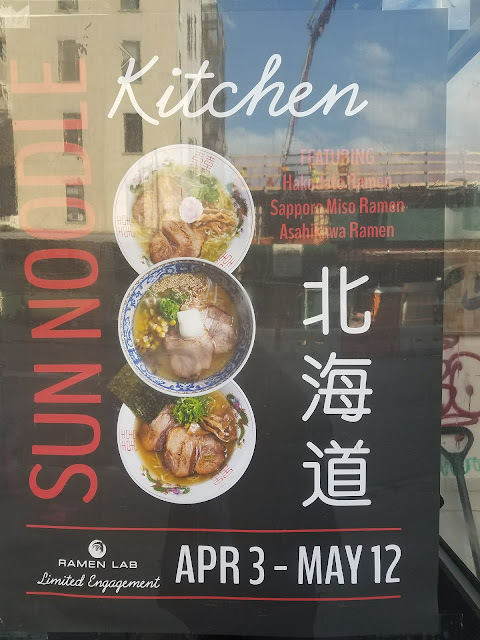 If you are in the area it's worth a try! 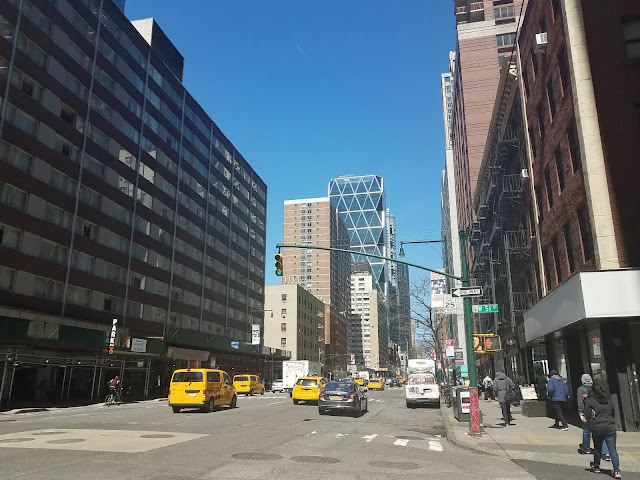 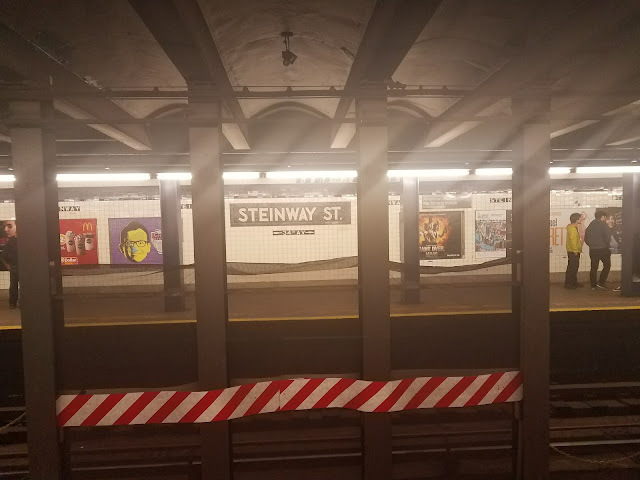 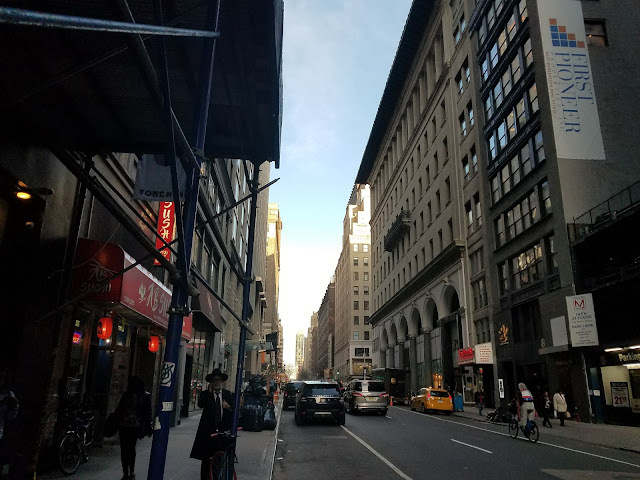 Revisited Tonchin today located in Midtown West, NY. 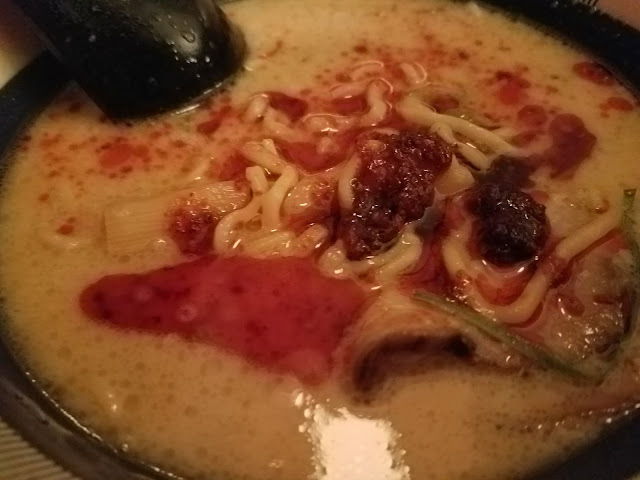 Excellent smooth tonkotsu soup. 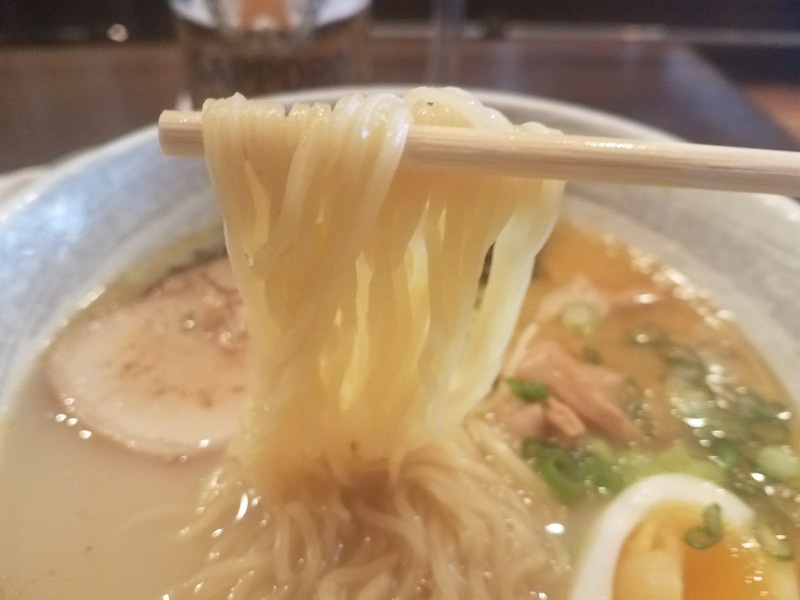 Chasu is thinly sliced, memma is thick and flavorful, both very good. 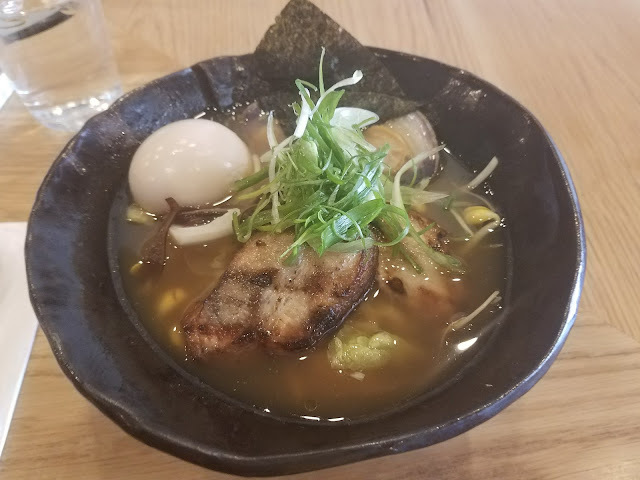 And the egg was eggcellent as well! 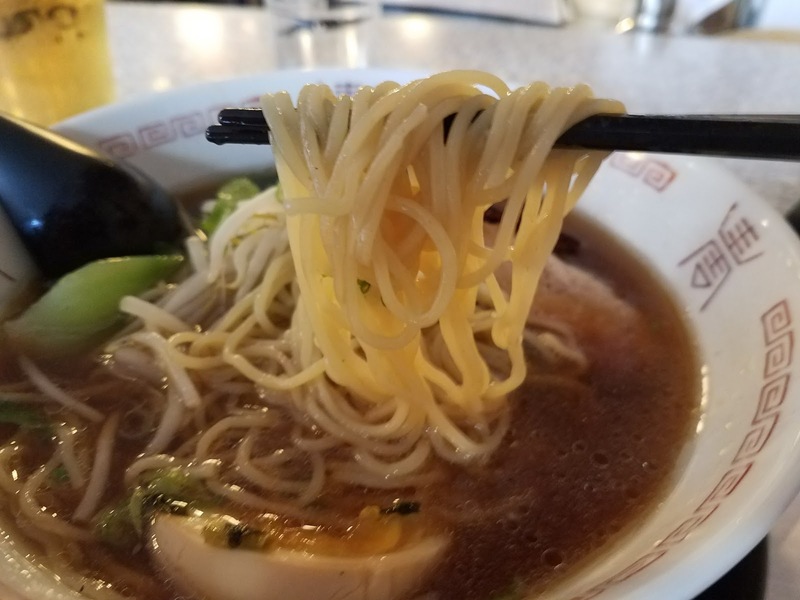 After enjoying 2/3 of the ramen, added some home made chili oil for a change in flavor. 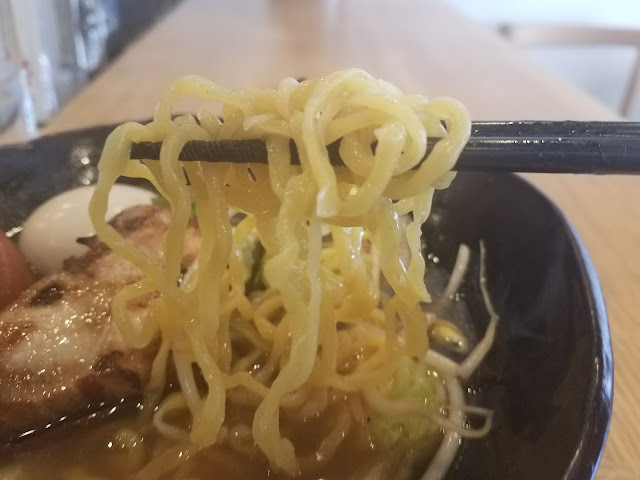 Enjoyed this as well! 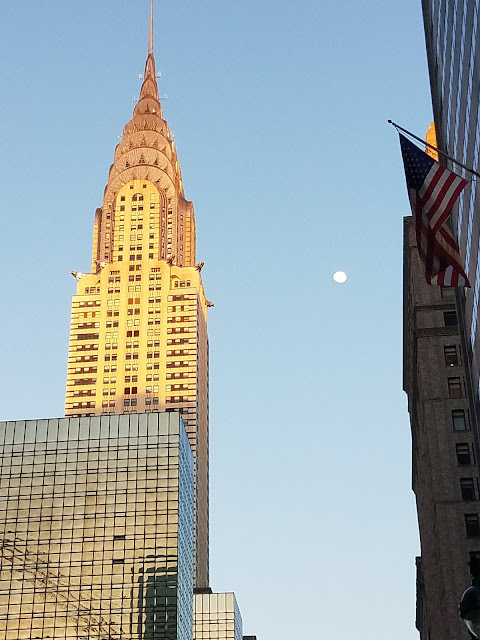 Chrysler Building - Took a walk in Midtown after my ramen, it was a perfect spring evening. 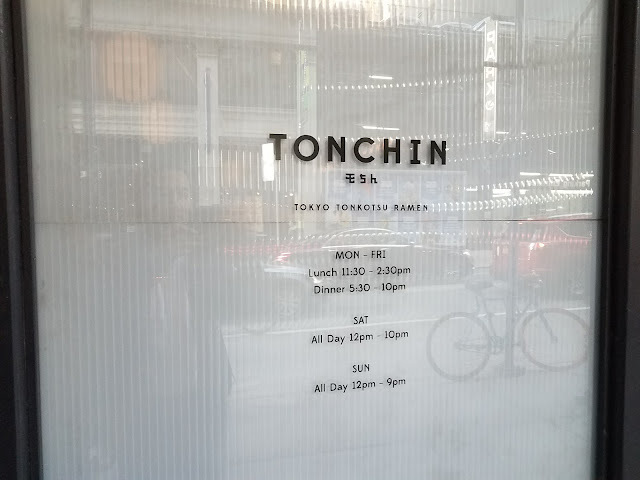 For my previous post on Tonchin click here! 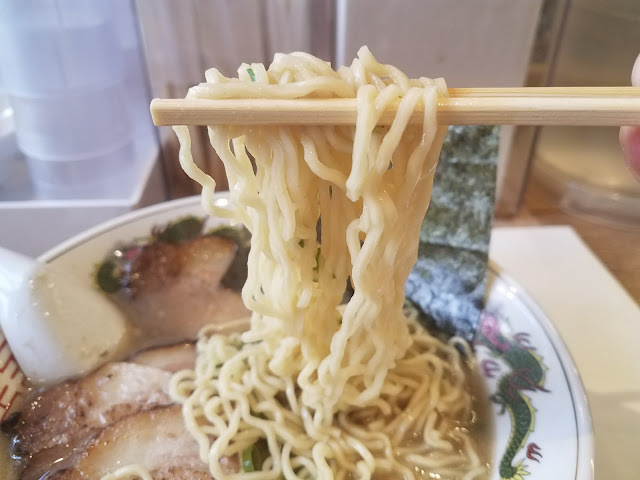 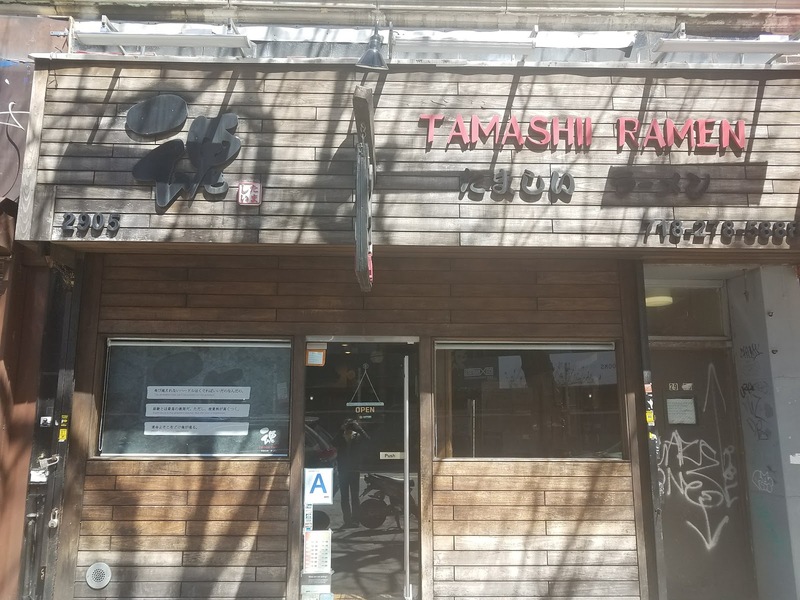 Visited Tamashii Ramen today in Astoria Queens. 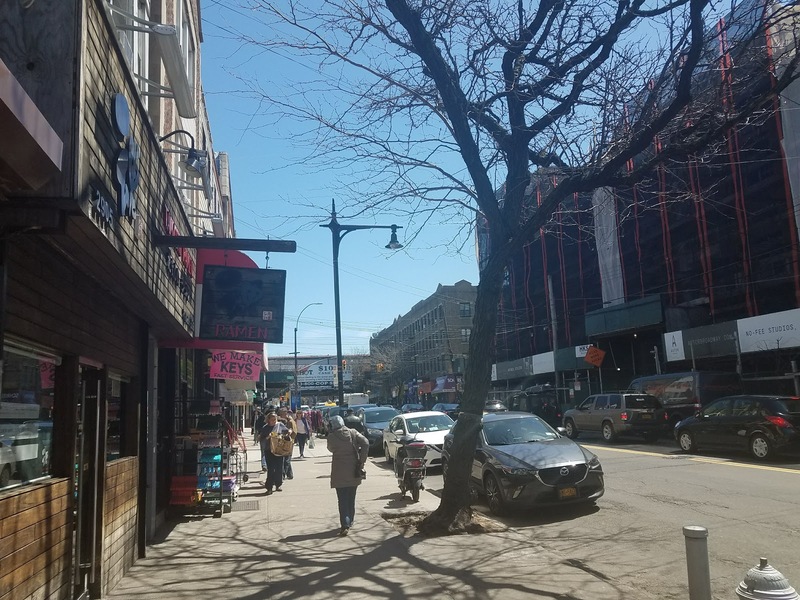 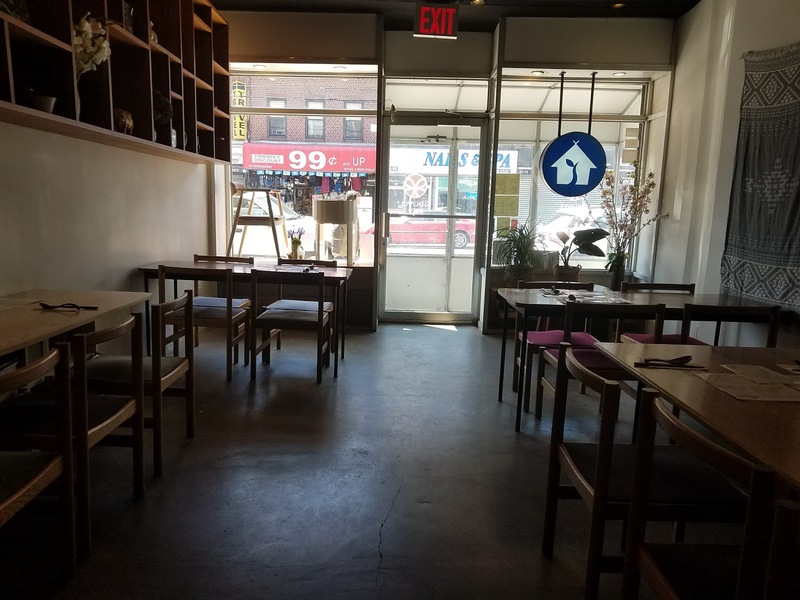 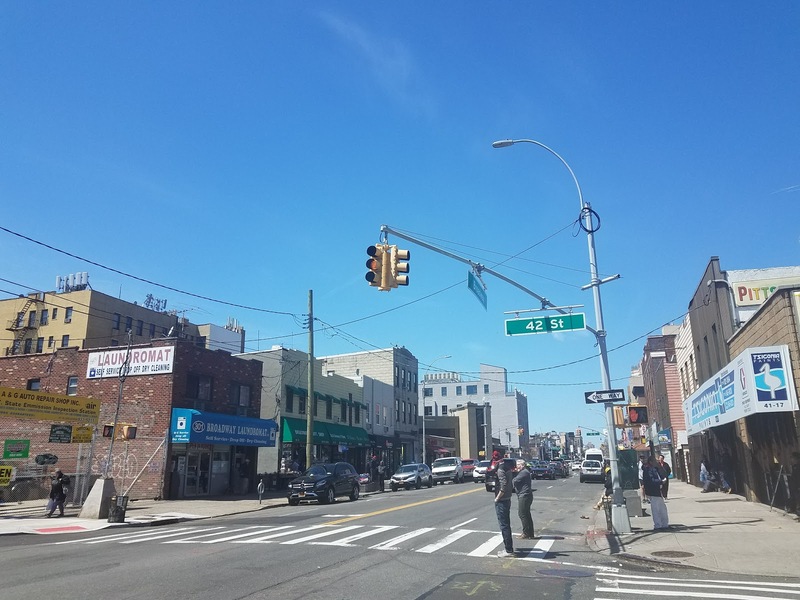 Ramen shop in Astoria Queens, open since Feb 2016. 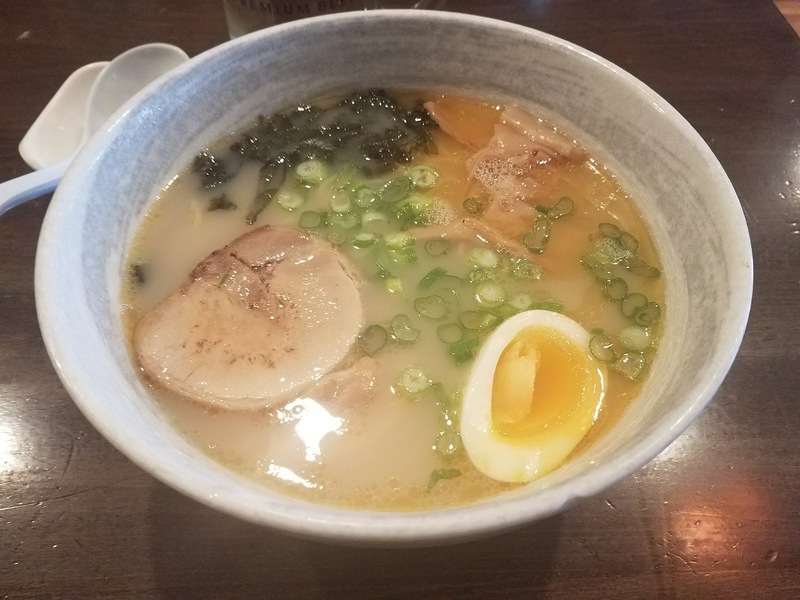 Chicken, fish & clam broth soup with chashu, ajitama and clams. 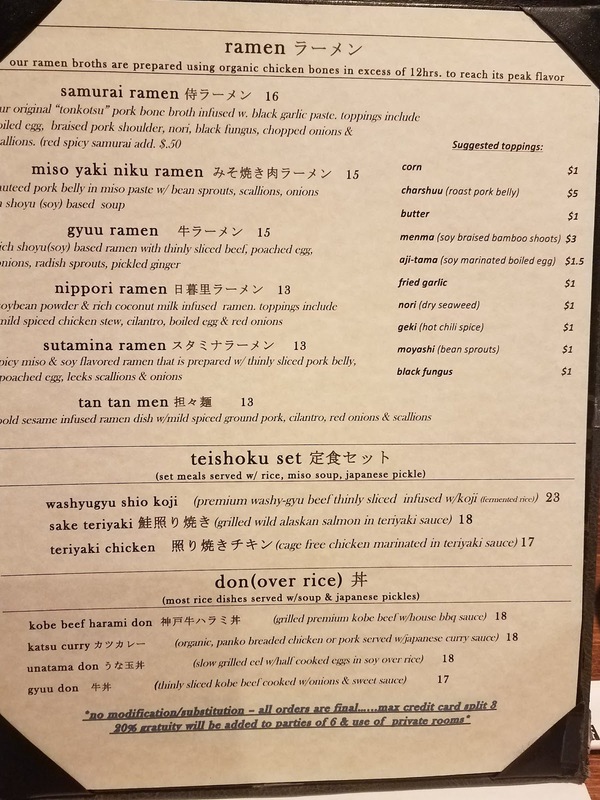 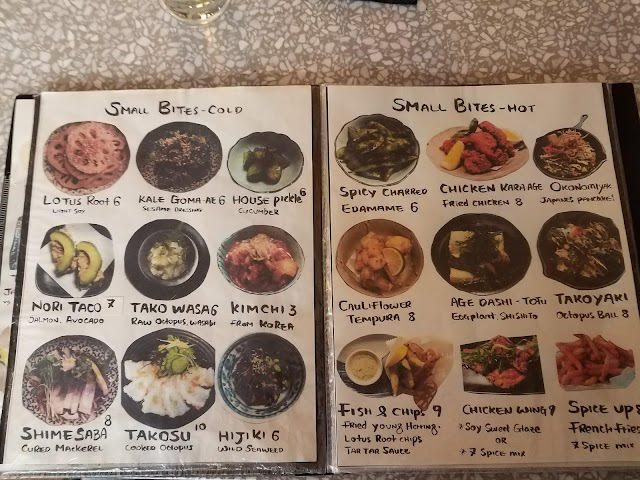 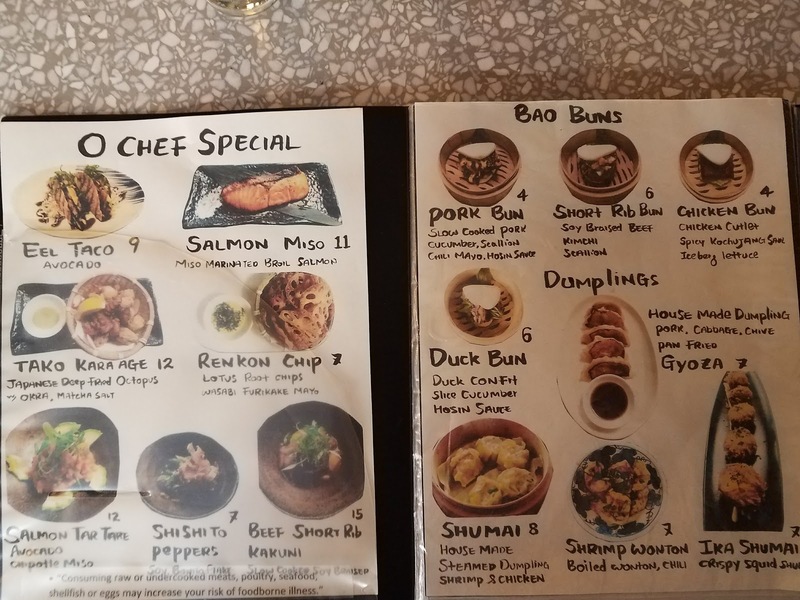 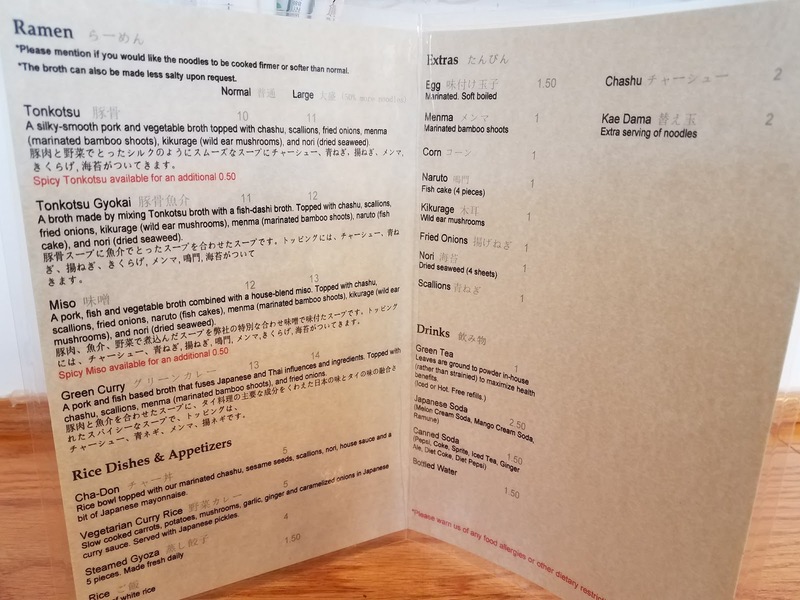 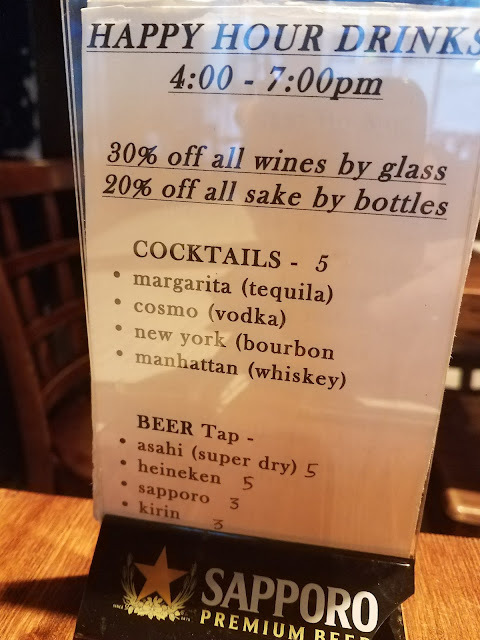 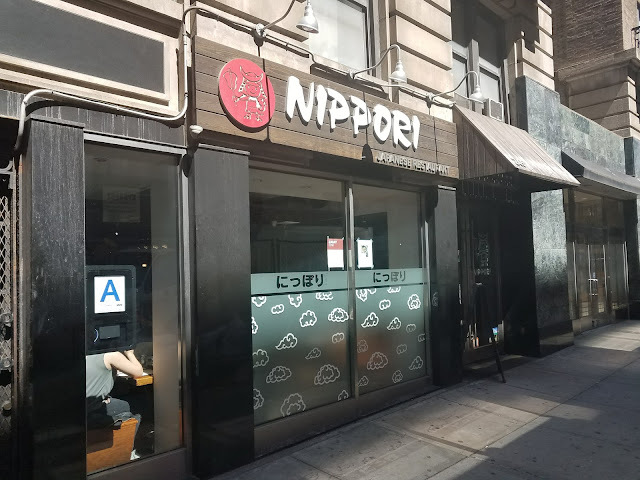 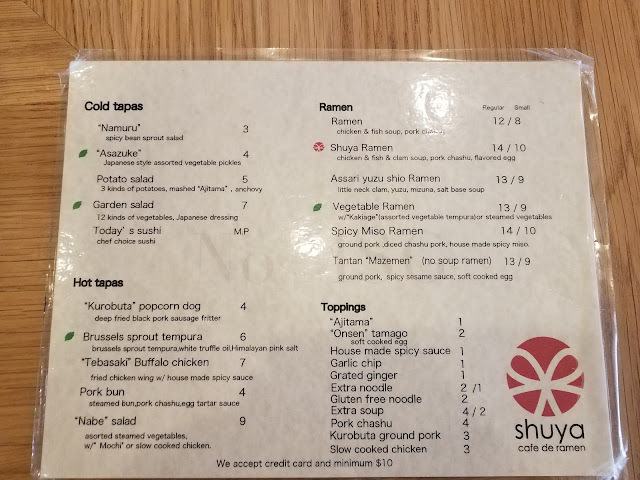 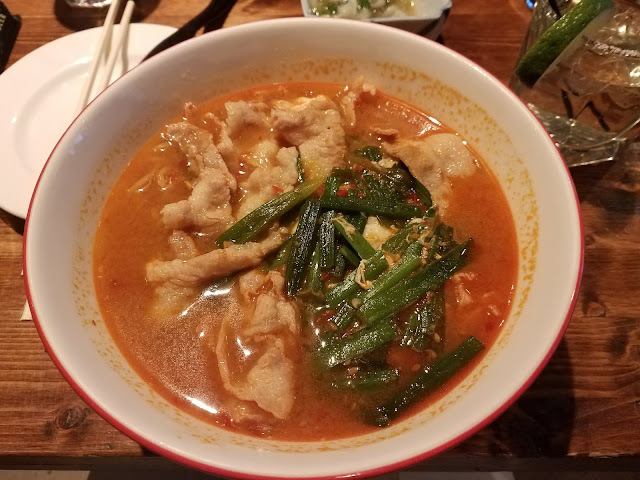 Nippori, a Japanese restaurant in midtown west NYC serving ramen, sushi, lots of other Japanese appetizers with a full bar. 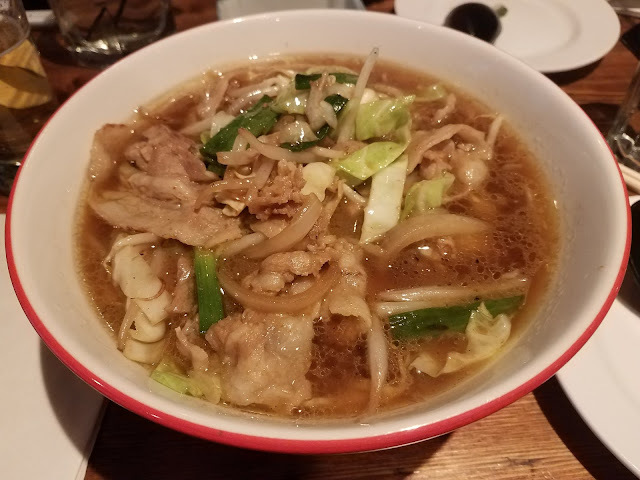 My choice today was Miso Yaki Niku Ramen. 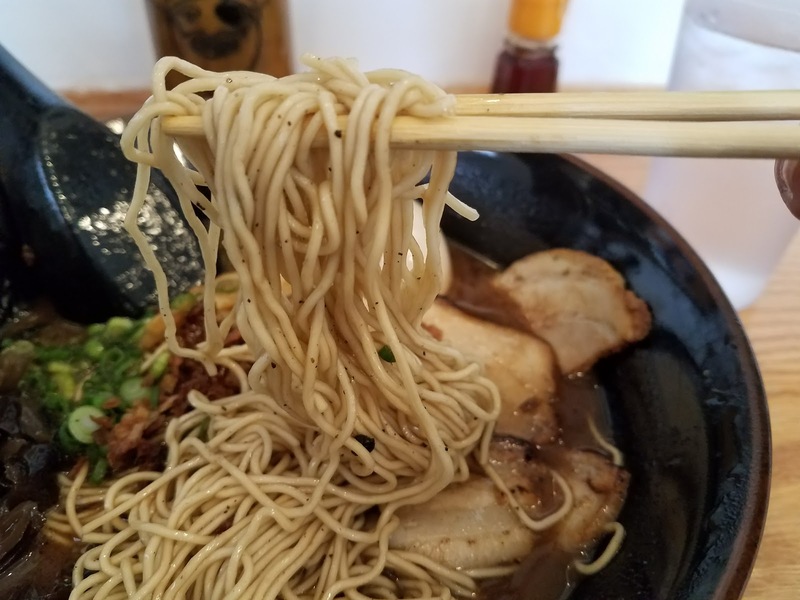 Pork belly, bean sprout, scallion, onion, cabbage. Ramen friend had Sutamina Ramen. 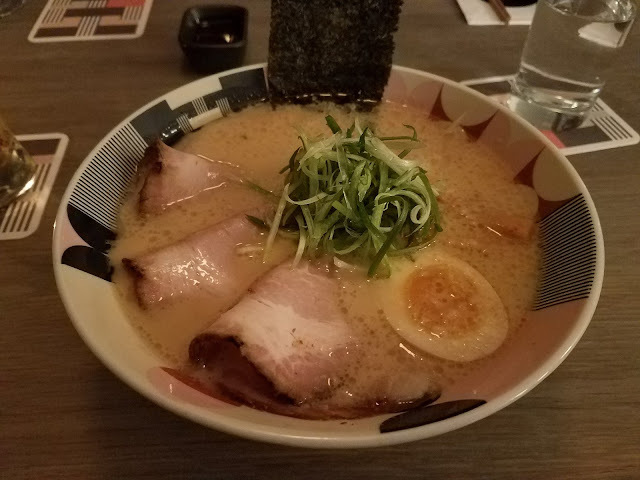 Spicy ramen with pork belly, poached egg, leek, scallion, onion, and lots of garlic. Popular place for drinks and ramen. Same owner as the Tabata Ramen in midtown. 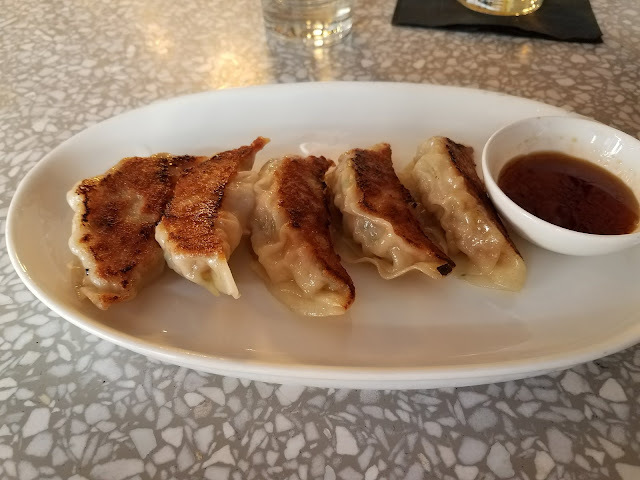 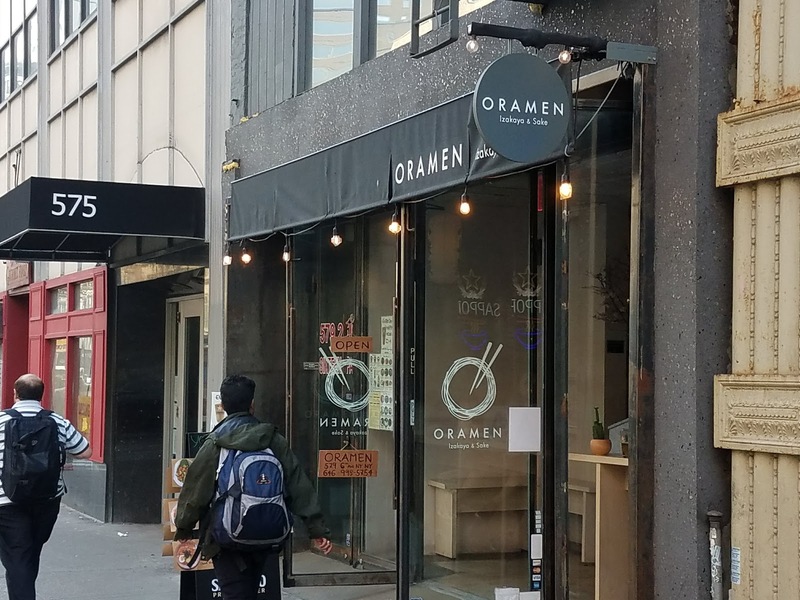 Oramen opened around October 2016 on 6th Ave in Chelsea. 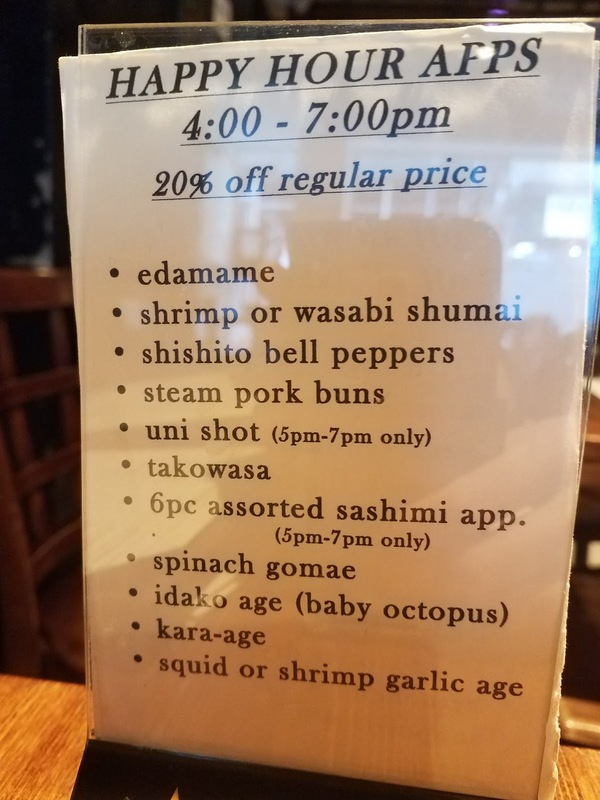 They have happy hour from 5pm to 7pm every day, with $4 Sapporo draft beer. 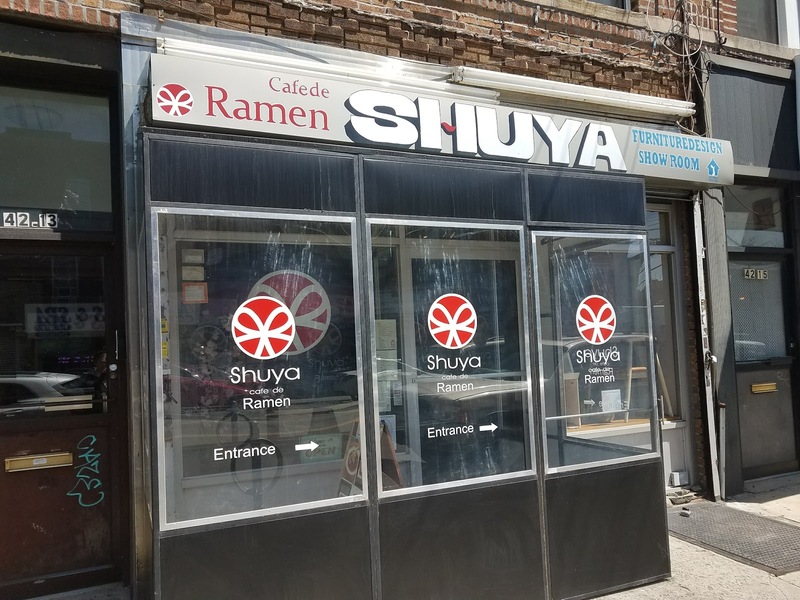 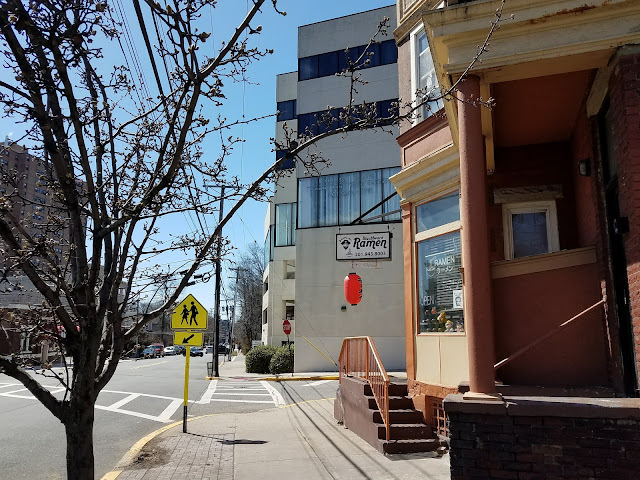 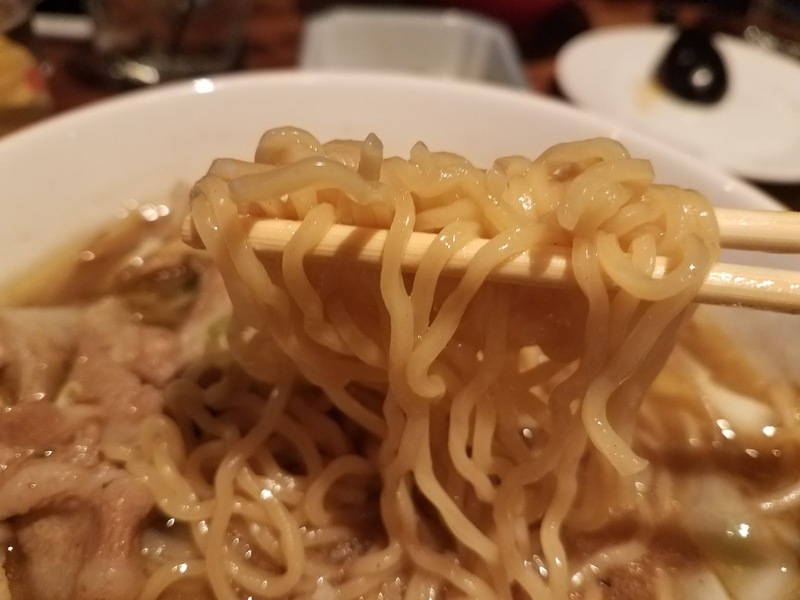 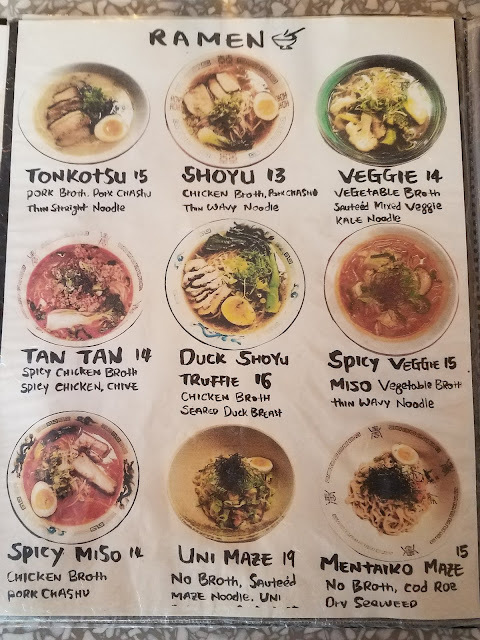 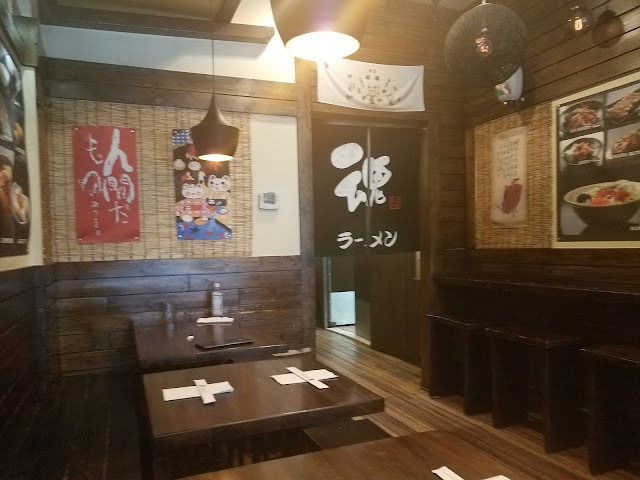 Ramen shop in Cliffside Park, NJ, opened in 2015. 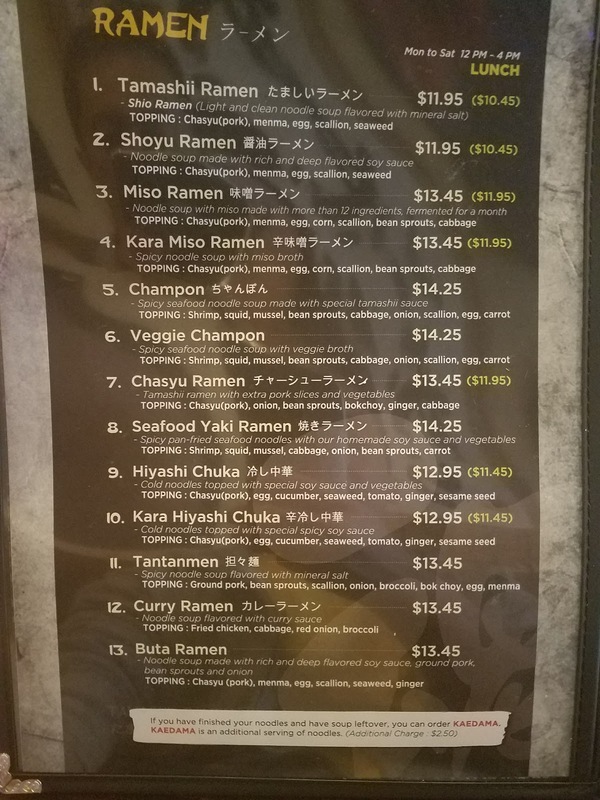 They offer tonkotsu ramen, and green curry ramen which I have never tried. 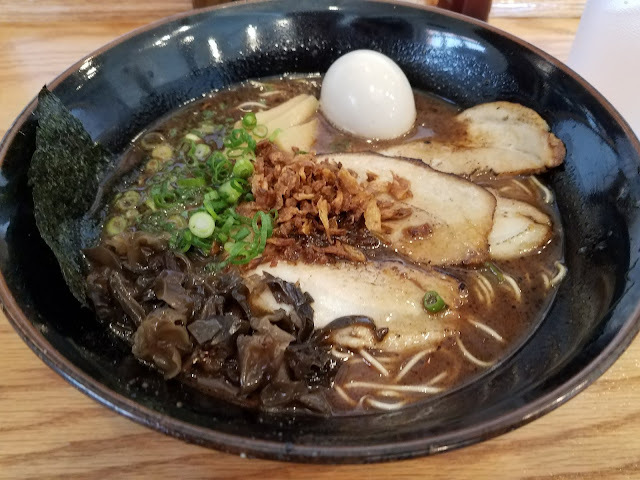 Tonkotsu ramen with black garlic oil, and added egg. 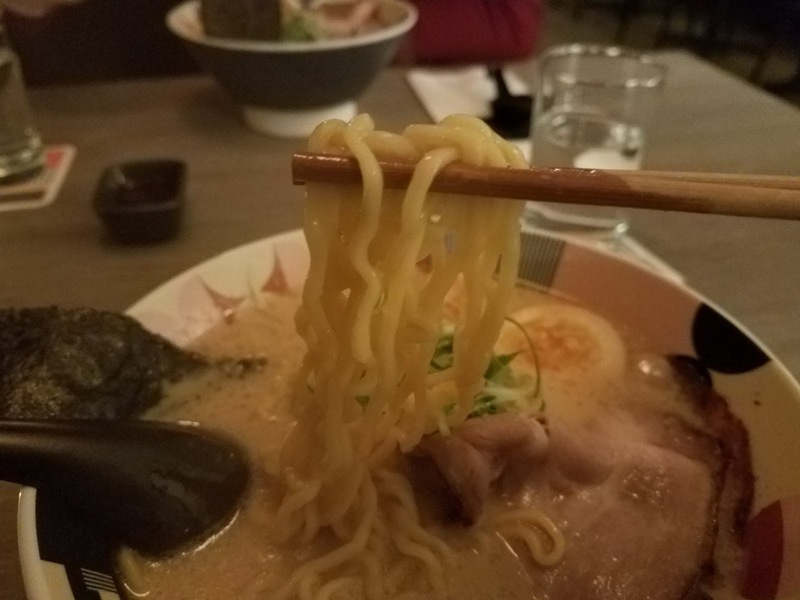 The black garlic oil is new so I gave it a try, I prefer without it. 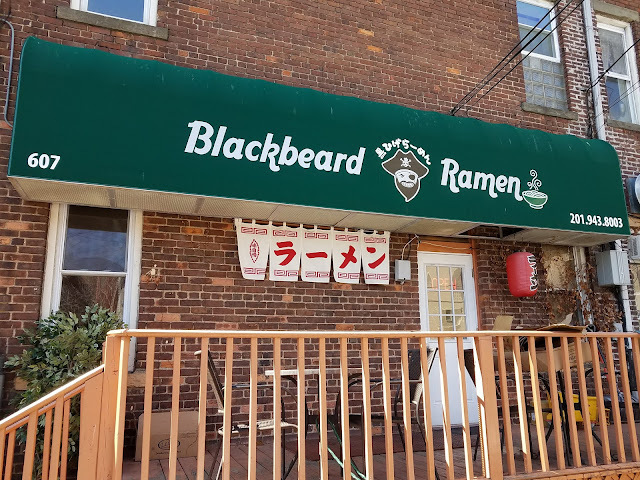 Pretty popular in Bergen County, NJ. Nothing to do with this ramen shop, but trout season started this weekend in NJ! 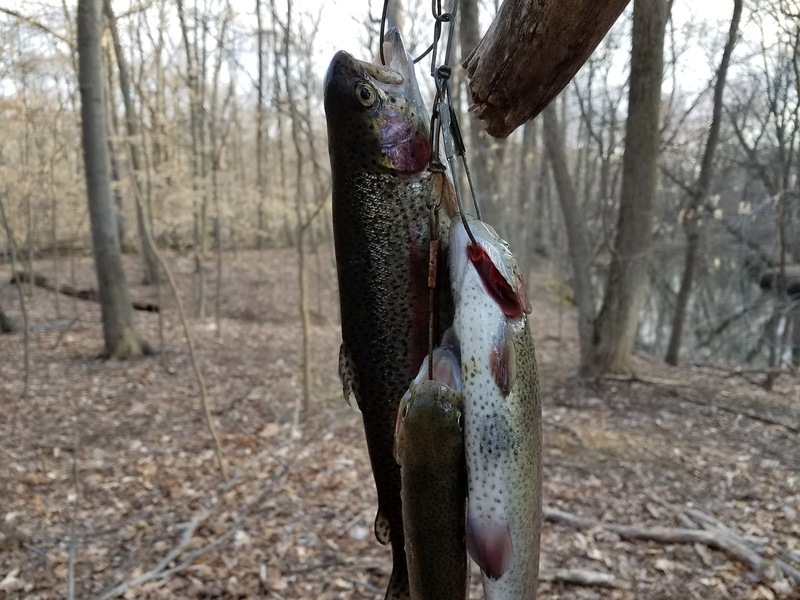 Not a bad start to the season. 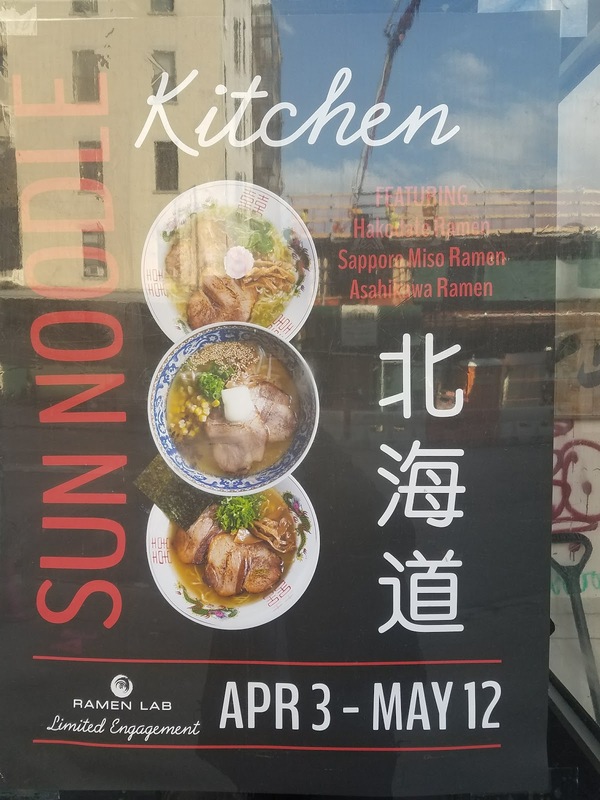 This month Ramen Lab is serving 3 different style ramens from Hokkaido! Hokkaido is Japan's northernmost island with different styles of original ramens. 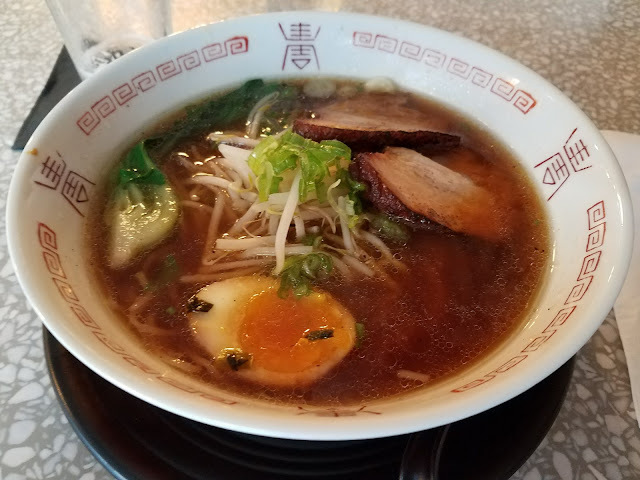 Today I was craving shoyu ramen again so I went for the Asahikawa Shoyu Ramen. 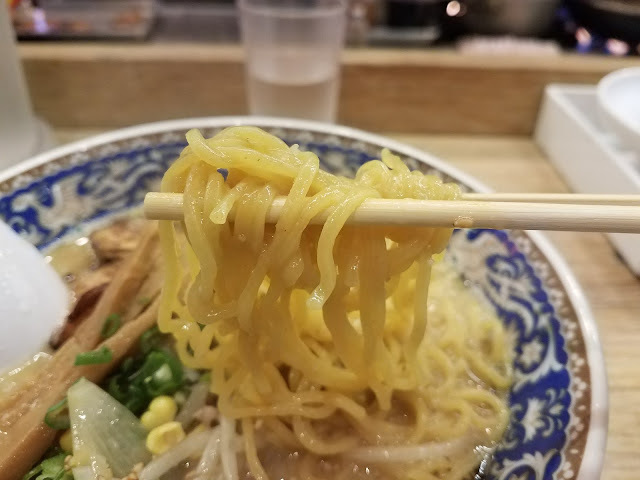 Wavy noodles, very good match. 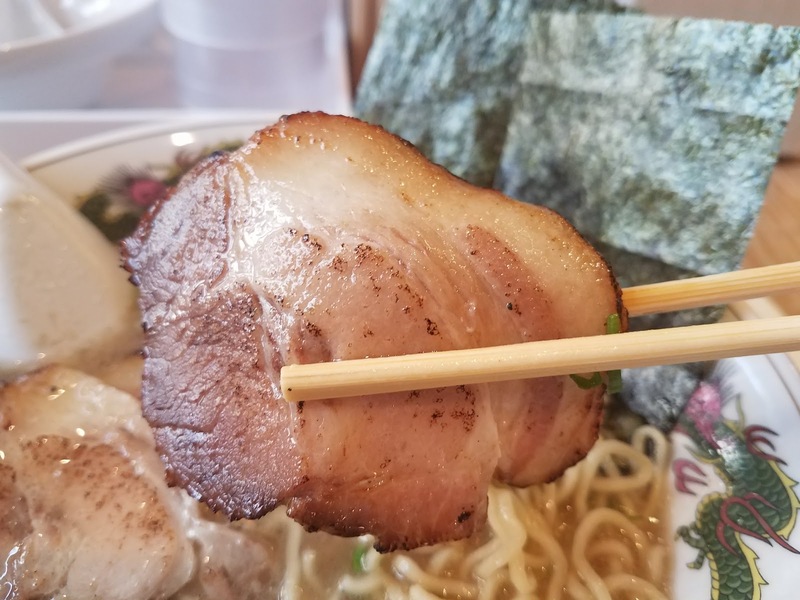 Chashu was good too! Didn't take a picture but the memma was very good too. They also have Sapporo Miso, which I am definitely going to try next, and Hakodate Shio.